RUTH ELLIS. The Truth Revealed ? England. Easter 1955. Ruth Ellis - the last woman to be hanged in Great Britain - for the murder of her racing driver lover, David Blakely. Questions at the time still rumble on today. What led the relationship to this crime? Who else was involved in the shooting of Ruthâ€™s lover? Why was no-one else charged? Why did she plead â€œNot Guiltyâ€ yet was so scantily defended? Why did she show no remorse? What part did class, gender, politics and the moral code of the time play in her sentence? Amanda Whittinghamâ€™s play is a theatrically exciting and sensitive examination of the real Ruth Ellis and her situation. Directed by Marie Straker, performances will be at 7.45pm on 11th â€“ 19th May, 2018. 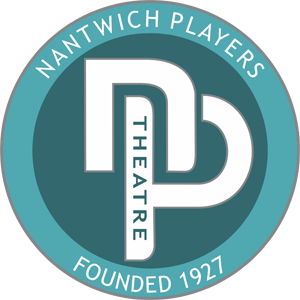 Tickets priced at Â£9.00 will be on sale from Nantwich Tourist Office (01270 600727) or on-line at www.nantwichtowncouncil.gov.uk from Tuesday 24th April 2018 at 9am. Priority tickets for our VIP Supporters go on sale Saturday 21st April at the Theatre. To find out more about becoming a VIP Supporter visit the membership section of the website. 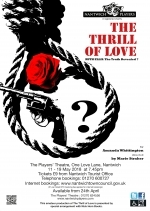 Members of the Nantwich Players can audition for this production on Tuesday 9th January from 7.45pm. Details will be available in the Newsletter and the website.